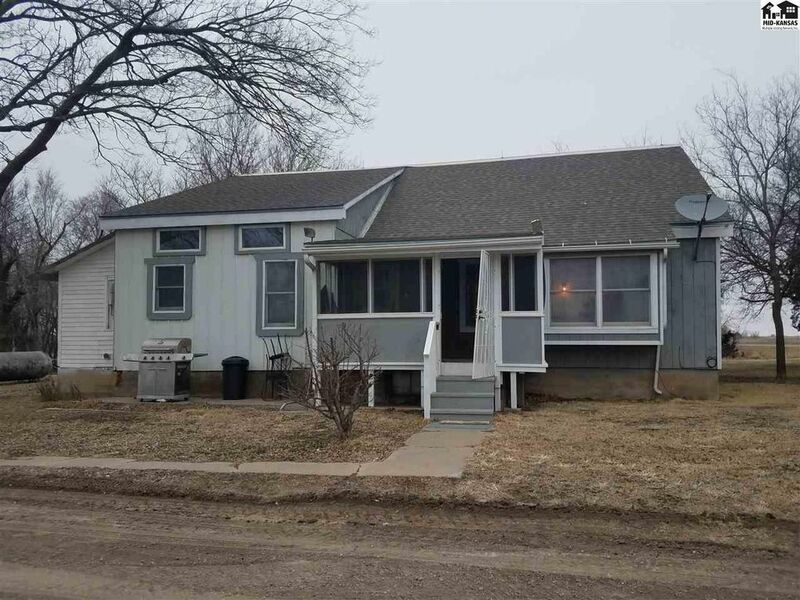 Call Anita A McQueen, ReMax Premier, direct cell # 620-727-5647 for appointment...Country living with room for kids, livestock, pets, chickens, gardens, on your 12+ acres, (with Survey provided), 3 bedroom, bungalow, with loft, basement, and separate utility, Country kitchen, 2 detached garages one South of home and the other is a workshop one West of home, and chicken house. As well there are 2 large metal round tops could park many vehicles or machinery in (presently rented month to month with area farmers at $100 month for each, can continue or discontinue for your own use.) 2 ponds one South of home and the other is West of round tops, in pasture. Moundridge USD 423 School District with bus to road in front of home. On it's own well and septic. Rest at ease with the American Home Shield, Home Warranty ( $680) to be provided at closing by Seller will include additional well and septic coverage additional ($210). (Warranty provided by Seller at full asking price of listing) Buyer only pays the $75 trade fee when they use it per occurrence. Little town of Moundridge just a few miles away, with Fetch Restaurant, Casey's, Coop, Deli also in their Moundridge Food Market, Dollar General, and 3 parks including, swimming pool, walking paths, tennis courts, and etc. even getting a new dog park this spring. Elementary, Middle School, and High School. Eden Church is just south of this property on 18th Ave. before you get back to Arrowhead. Come enjoy country living. Directions: Hwy 50 to Burmac at Burrton go North to Arrowhead black top then East to 18th Ave and North to property it is just south of Cherokee as that is the North Boundary of the Property.